Bearing name E. Potthast lower left. Figures at the seashore with umbrellas. Dark brown spots down the middle. 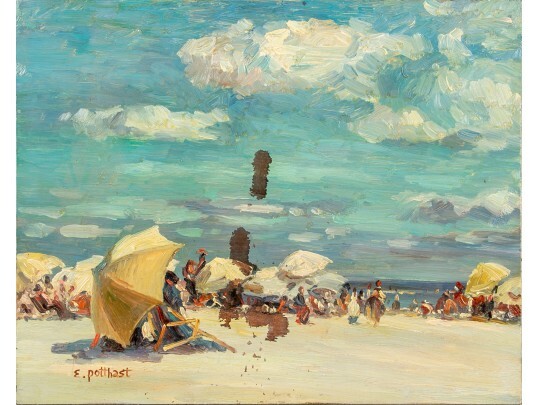 The signature is probably added later, Black Rock Galleries do not represent this to be a Edward Potthast painting.